Physical Description: A man of not great stature, but whose glance penetrates as he looks at the mountains across the horizon. Under his hood his face appears, dark green eyes and a light tan tone to his skin, his red hair cut in form to make it comfortable to live in the desert. His stiff facial features make it hard for him to express his feelings, and that stance of having his fists always clutched, makes it seem that he is always in the defensive. Physically not the strongest man ever, but defined leg muscles make him look like if he were ready to take off at any moment. Tribal drawings run down his visible parts of his arms and legs, it is said that he has a drawing of a legendary beast on his back, which is where all the tribal drawings lead to. Clothing: Black with purple star cloak, with a circular hood. Forehead protector hung from his gourd, Sand Village Symbol on it, with the shine like it has never been scratched. His weapon a gourd, made from super light clay which was integrate with chakra to make it light, which is a yellowish-brown with black tribal drawings with a yellow latch making it easy for him to carry on his back. The Sand which comes out is a silver-ish color and gently floats around him, while he is on the defensive. Wears Oak-Wooden Sandals with the latches of red color and has a ring with the Japanese character of Death (ÞÝ) on his left ring finger with silver lining, which shines a pyro-color as the light hits it. Distinguished from other shinobi of his kind, by the four loud and bright red bells hung from his hood around his face and 4 around each of his sleeves. While running his bells are filled with sand so that they do not make noise. That sand is used to make sudden defensive and offensive movement.The sleeves have a purple line, which matches with the stars and the line at the bottom of the cloak. Making his outfit completely balanced. Weapons and Assesories: 14 Shurikens, 5 Kunai, and Sand Gourd. Personality: Aggressive, stiff and strong willed. He does what he has to, to get the mission done. His aggresiveness comes in when he sees others getting abused, and having gone through so much in life his expressions have become stiff, and people cannot interpret his happiness from anger. He is the person who would be chosen for a scout mission. He is the type who likes to fight only when forced to, but once fighting likes toying around with the person. He also likes to help his fellow members even if they do not appreciate it, but he doesn¡®t like being helped. He only likes being talked to by fatherly figures, since he lost his at a young age. He takes pride in his training since he has done most by himself. He doesn¡¯t like waiting for anyone or anything, he is very impatient and if discovered in scout missions, dashes at full speed to escape. His personality can become suicidal if he ever got caught. Nindo; "Way of the Ninja": "Why go around when you can blow right through?" Taking action on the moment is the day to day way of living. Range: Mid Range, 6-7 feet. Description: By crushing rocks and pebbles in the ground with one's sand, the user can create even more useable sand. After focusing their power, a large tidal wave of sand will rise from the ground to cover the target and the surrounding area, leveling anything in its path. Range: As far as person can throw. Description: The user holds his hand out, and concentrates his chakra in the sand around. The sand starts to gather in the hand, like a snowball or large boulder, depending on the skill of the user. The user then throws the sand and where it lands, on contact, it blows up like a grenade. Pieces of the fragmented sand bomb hit anything within 3-4 feet of the explosion. The smaller the level of the opponent the less damage it will do. So academy students use it for fun, and jounins use it as a clearing the area technique. Range: Close range, 1-2 feet, also depends on the weapon range. Description: The user concentrates his chakra in the air around his legs, arms and weapon. The air becomes thinner and more sharp, making it easier to move and more silent strikes. Good for close range assasination routines and hand to hand combat. The user's speed increases about 15% and accuracy is brought down by a 7%, but when the user doesn't strike (when strike was about 1-2 inches away), the aftermath of the wind leaves its mark on the opponent. Depending on the level of the user it can leave from scratches to severe cuts. Range: Long range, 15-20 yards. Description: This jutsu is performed only by Elite Jounins or Kazekages. It is a distraction move. A 120 mph wind suddenly rushes at the opponent, carrying everything in the way toward the opponent. The user takes the distraction of the opponent to get better position and attack the enemy from higher ground with a stronger technique. Similar to lower rank attacks, but way more wind speed. And this attack is very often followed by a Genjutsu. Range: Long distance, 20-25 feet. Description: Can only be summoned by the wielder of the Kiki Staff, the opponent knows he is in the genjutsu when he hears each individual bell sound once, 4 bells. In the genjutsu, the wielder appears to have faded, like sand in the wind. And the ground becomes into a giant quicksand pool. Pulling the opponent down until the opponent dies of self suffication or goes unconscious from fear. Range: Long range, 15 feet. Description: The user stretches his arms infront of his body, which is the symbol to start the genjutsu. If the opponent see's both arms he is caught. In the genjutsu, it is normal like the outside world. The users arms are still stretched out, his fists become covered and harden by sand. At that momment the air is dense and it is difficult for the opponent to move, since the air is filled with particles of sand. In the illusion the user uses Taijutsu to strike the opponent in those conditions. Only way to escape is stopping your chakra flow or having someone interfere with yours. Description: Creates clones out of the sand. Uses small amount of chakra and requires the presence of sand to perform. It is fully functional, meaning it can attack and be attacked but it has the appearance of sand so it's useless to use as a distraction. Due to it's nature of being formed out of sand this bunshin is more solid than most, meaning things such as explosive tags can be put on them. For every five reserves the user has he may make one clone. Description: Before releasing a projectile such as a kunai or shuriken, the user first coats it with a thin layer of sand. The main purpose of this is to get sand within a wound when the projectile strikes, inflicting extra pain to distract the enemy. Description: As the name of this jutsu implies, this technique allows the user to draw sand towards them. The user simply forms one hand into a seal, and holds their other hand out, attracting the sand towards their outstretched hand. They can attract any sand in the area towards them, providing that they can see it, and that the sand is not currently under another persons control. The amount of sand they can draw towards them is dependant on the users control. At low levels only a bare few handfuls of sand can be drawn towards them at one time, while with much higher control (nearing 40) the user can draw vast amounts of sand, enough for five to ten sand clones. Description: Creates shuriken out of sand. Uses a small amount of chakra and uses sand and hardens it to pose as a shuriken. The sand shuriken may be created from any source of sand and launched to an opponent by the user. Requires extra chakra to "throw" the shuriken if you do not throw it yourself. Description: A technique handy when the user is left defenceless against an opponent. Performing a series of seals and holding their hand above the ground, large amounts of sand will fly towards the user as if being drawn by a magnet. The sand will clump and stick together in an elongated shape that will take the form of a bo staff. It can be used in the exact same fashion as that of a normal staff, that is to deliver and defend attacks to or from the enemy, though due to it¡¯s nature it can only take so much punishment before crumbling. Additionally the user can cause the entire length of the staff to be covered in sand spikes which can rip and tear skin if a direct hit is given. Using this jutsu, The user can quickly loosen the ground below his opponent and cause them sink beneath hundreds of meters of sand. The User then compresses the sand to such an extent that his opponent is unable to even move a finger. The user uses the technique without naming it. The name is given in the second databook, since it didn't fit in the first one. After wrapping an opponent with sand, The user will cause the sand to implode,using enough chakra to shatter a steel plate, and crush whatever is within. When used to kill a person, the death is so quick that there isn't even time to feel pain. The pressure also produces a sizable fountain of blood. The user can control the pressure used in the attack, which allows him to merely break bones or completely liquify an opponent. Using his sand as a platform, the user is able to float in the air. Making a layer upon layer of sand effect, making lift of the user, to incredible heights. Massive amounts of sand is needed depends on the size and not much chakra is used. And the platform doesn't move fast so the sand shield should be used for cover. Description: This technique was created when the lack of an abundance of sand being available was recognised as a severe hindrance to invading sand shinobi. While gourds of sand could be used to allow the user to take sand with them, the amounts contained within a normal gourd were insufficient for higher-level techniques. This technique does not eliminate the need for gourds, but rather it complements it. By using chakra to forcefully pack sand together, the user can hold a vast amount more sand inside a normal gourd, allowing them to double its regular capacity. The chakra in the sand in the compaction technique makes the sand smaller and less dense, making it less heavy, but this takes massive amounts of chakra, but once done it doesn't have to be done again, since once you thin the sand, it is a waste to make it dense while carrying it around. It has a similar affect as of how the sand floats, since chakra is manipulated through the sand to affect its density. Description: A Ninjutsu technique where the ninja uses sand to create an eye through which they can clearly see without fear of being seen. Perfect for spying or collecting information, or targeting an opponent while guarding himself with a wall-defense. Description: The user creates a thin, although durable, armour of sand around the their body by making the sand stick to their skin and clothes and then hardening it. How long the user can remain with the Sand Armour depends on their control. Description: Extending their arm in a specific direction, the user forces sand in the area into a circular shield that hovers just in front of their palm. The shield may be moved so long as the user keeps their palm flat, making it a useful defensive jutsu, though the moment the users hand starts to close, the shield will collapse. Biography: Born in the outskirts of Sunagakure by a woman, who was a lover of the kage, left to his own will in the desert, he was picked up by a Merchant, a shinobi in disguise, in a caravan. Being a missing-nin, because of political issues, he covered his identity and kept living with the merchants on the caravan. He picked up the child as a son and called him Sabaku no Nandomo (Nandomo of the Desert). They traveled through the Villages selling items from the village of Suna, Nandomo loved his father dearly. He would carry everything in the carts and helped the women with their babies. He became very familiar with everything that had to be done while traveling the world. He learned to walk up walls and walk on ceilings, some ninjutsu, too. One night the caravan was attacked and he saw his father lose his life to protect a woman which was under a falling boulder, his father tried to use his Sand Shield to hold up the boulder,since he had been holding the men back for a while and was on his deadline with his chakra, it caved in. Currently at the age of 6 he just stayed in a state of shock and didn't speak for 9 years after this moment, but at the same time the caravan survived the attack and kept on traveling, also a deadly gift was transferred to Nandomo. At this point he learned to turn boulders into sand by focusing his chakra and anger. With 2 1/2 years of training and agony, he learned to move the sand at speeds of up to 30 miles per hour. At the age of 14, he was in the middle of another attack, but this time he had managed to defend some of the merchants using the Sand as a shield to block the arrows. Then, when the men came close, he shaped the sand into shurikens and tossed them at the enemy killing them. When he was 15, he stayed in the village of Sunagakure to live with some family of merchants, with all he had which was a gourd of his sand and a picture of his father. He met a man who taught him to specialize his sand power, he never saw the man's face, but the man was also a sand specialist and worked with the sand very well. Nandomo knew it this man as sensei or no one. All he say was some dark blue eyes, and his black cloak with purple clouds. All he used to refer to this man was sensei. For him the man was very important, since everyone respected him while in the city, but Nandomo never saw the man's house. At the age of 17, he was able to control the sand at speeds of over 70 miles per hour, and turn it into precise needle like projectiles. He trained by wrapping a boulder with the sand then making it move at high speeds. He trained day in and day out, some nights he didn't even make it home. By this time, the man gave him a black cloak. From then on everyone in the city started separating from him and he was becoming angry at the people, he use to love, he entered the academy and passed it, immediately.. Already recognized as a Genin, he went to Konoha to train with his sensei to get ready for the Chunin Exam. He passed the Chunin exam with flying colors. He used the sand in the area to his advantage, still only being able to use a 20% pebble to sand ratio, it came in handy. Then, they went back to Suna and started training for the Jounin Exam hosted by the Village of Snow. By the age of 19 he was able to use 65% pebble to sand ratio. His speed had incremented greatly, it almost seemed like if he teleported instead of running. Only trained shinobi eyes are able to catch his movements. Nandomo did a series of missions anywhere from S- simple B ranks, he took what ever was available. He didn't care a mission was a mission. He went off the take the Jounin exam and passed it in a very controversial fight at the end. Where he was barely able to get up to win it. They had been fighthing a while and there chakra was at their limits, they were neck in neck. They were 10 meters away from each other and the final attack incountered in the middle. The collision of the attacks exploded and the bits knocked them to the ground. The referrie said the first to sand would win, and Nandomo stood up barely before his opponent. On that exam, his sensei was not present, since he had retired from teaching, and had an ultra secret mission to attend. He had nothing else he could teach Nandomo. Now 21 and full fledged ninja, he goes on S- rank missions, and sometimes is assigned little ones to teach. All his high ranked missions, were given to his sensei which ofcourse choose him as a companion. At that moment, he could move sands at about 90 mph and had a 85% pebble to sand ratio. He got a bit famous and now does not like teaching students and wants to become an ANBU. Today, he is 23 and training to become an ANBU, he has tried twice, 1 1/2 years ago, to join the organization and hasn't been able to. Now he thinks he is ready, since he knows more than most about the Village Secrets and geographical features. Since he was invited in many ANBU missions and did some studying with the hidden jutsu's written in scrolls. Other Info: His sand floats on an ability that his chakra makes the air sacs between the sand lighter, giving it lift. 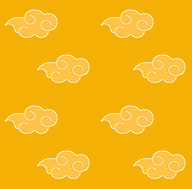 When it starts to speed up the air sacs compress, and the chakra is used to harden the sand. At high speeds the chakra is only used to control, accelerate and harden even more the sand, which by now is shaped into a projectile. While his sand is not in the air it is stored in the massive gourd on his back. Part of Body: It is located on the lower back area and inside palms. How it was attained: It has been attained from a transfer between the perishing body of the carrier of the Demon, in the same clan, seeking chakra to feed on the Demon will obey the seal on the new carrier. Can only be transferred by someone in the Nedji Clan, by a special secret seal. Effects: He gets tiny ounces of extra chakra when he in the decline of battle in his own. And increased affectivity with Genjutsu. How to reach effects: Can only be activated by the beast, by taking control over the carrier’s body. The body of the carrier has to be in a very poor and deteriorating state. In which, with the extra amounts of chakra given has not happened in a century. Downsides: Density of body increases making it harder to mold chakra and way more difficult to move after the carrier has regained control of his body. And some pain in the areas of the seals. Story: It starts with the first official founding of the Nedji clan, in the desert NE from Sunagakure, when the clan was searching for a village and a special something to make their clan noticed in the area. All of them special users of sand and Genjutsu artists. The founder Kuja visited the Hidden Village in the Mist to see what they had to offer. Their sand was useless against the techniques of mist, so he had to go with defending using his sand to get respect from the ninja. A elderly ninja came with a special sword and cut through the sand, barely Kuja was able to escape. The ninja told him that defense is not everything. Kuja said that he needed to represent his clan and all he had was his said and some very well Genjutsu, but in the mist he couldn’t use it. The old man said that if he came tomorrow he would have something for him. The man suddenly made a hand signal and disappeared into the mist. Kuja went to his own room in a hotel at the village and came to the same spot of the day before. The old man stepped out from behind a tree in a black cloak with one hand near his chest. Out of the tree right next to it came out a younger ninja of about the same stature. The old man dropped to his knees and coughed out blood, and said I have a demon inside me and it is my gift to you for believing in your clan and wanting to make them stronger. The other young man said we have to do this quick to preserve the demon. The old man fell forward and lay on the floor unconscious. The young man told Kuja to lie down and he did, and he started with the transfer. After they were finished Kuja stood up, he felt lighter. The young man placed the corpse over his shoulder and walked off into the mist, before Kuja was able to say thanks. Kuja got back on the road to his Caravan which was at the border with the water country and kept living a normal life. 2 years later a man came into his tent, while waiting for his wife at night. It was the same young man who had transferred the Demon. They started the talk and the man said that he was going to teach someone that Kuja picked, the seal to transfer the Demon. They decided and picked someone and they got to work. When Kuja was on his death bed the member of the Nedji clan they picked transferred the Demon to the new carrier. And like this it has gone from generation to generation. Clan’s history: A clan of merchants who were nomads through the deserts of the wind country. They dominated sand and used it to their benefit. They would concentrate their chakra molding and being able to dominate the sand. The adults would use the sand to carry heavy items, while the children would use it to make statues and figures. They also dominate wind very well. The nomads soon were attacked by groups of hostile barbarians which lived in the desert. The leader of the group a large burly fellow who wore dark cloaks and had a staff with bells, would use Genjutsu to scare away and confuse the enemy. The barbarians were still hostile and the leader began to have apprentices from his own family, for them to take care of their clan. The series of many wars continued with the Nedji clan defeating the barbarians. To not cause any more harm the leader of the clan decided for them to stay at Sunagakure. The clan stabilized and made their own lives in Suna. It had been 5 years and the leader of Suna passed away. One of the recommended shinobi for the job was the leader of the Nedji clan, and he accepted. From there on the Nedji clan have been Kazekage, some of the strongest ninja of Nedji have been in the ANBU force of Suna and are still there, while the rest live at peace in Suna. Clan Information: This clan is meant for peace and control. They do not like war and try to avoid all conflict. They use Genjutsu to avoid physical confrontation at all cost. With very strong Genjutsu they do not have to worry about enemies attacking. Most speak very calm and steadily, and have very soft movements when they are acting normal. Clan’s role today: They are the citizens and ANBU of Suna and keep Kazekage Nandomo updated with the latest news in the village. Clan’s secret technique: They dominate sand and wind very well, so their attacks aren’t very stealth if they are getting physical. Their secret jutsu is a Genjutsu which is activated by the Kiki Staff and consists of a giant quicksand pit, which the opponent thinks he is drowning in sand, and frightens the enemy into unconsciousness. The attack looks so real, that even the air you breath in is hot. Clan’s Training: Consists on controlling chakra and weight lifting. They do a lot of sand control techniques and Genjutsu activities. Clan’s Politics: The Clan runs itself on a republic, all get to vote, but is represented by the strongest ninja of the time, which is the Kazekage. Famous Shinobi: Sabaku no Nandomo, Sunagakure’s Kazekage. that sure is a lot of writing. (drools) i can't even write essays that long. I would read those entire two posts, but nah. Everyone listen up! Interactiii seems to know what the hell he's doing. I applause.